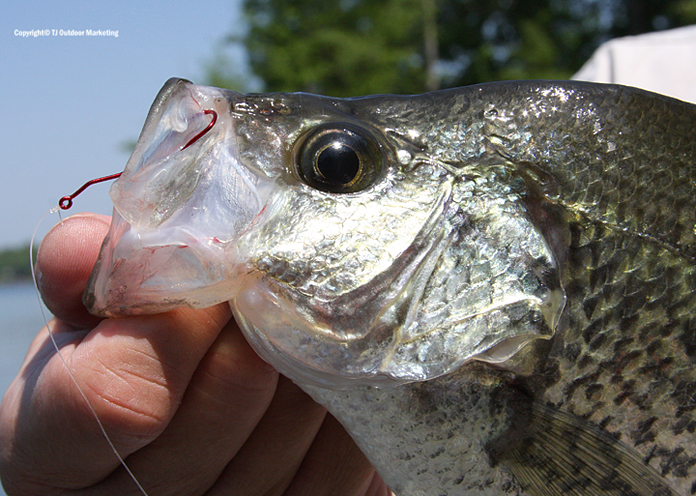 Tru-Turn Hooks are awesome for crappie. Reflect. Look back at last year. What did you learn? What did the fish teach you? What did you learn from the conditions? Did you master a new technique? What new structure did you find in your waters? Did you share the sport with a child? Look forward. Have you identified your goals for next year? Challenge yourself and have a Happy New Year! Fishing for different species, teaches us more. 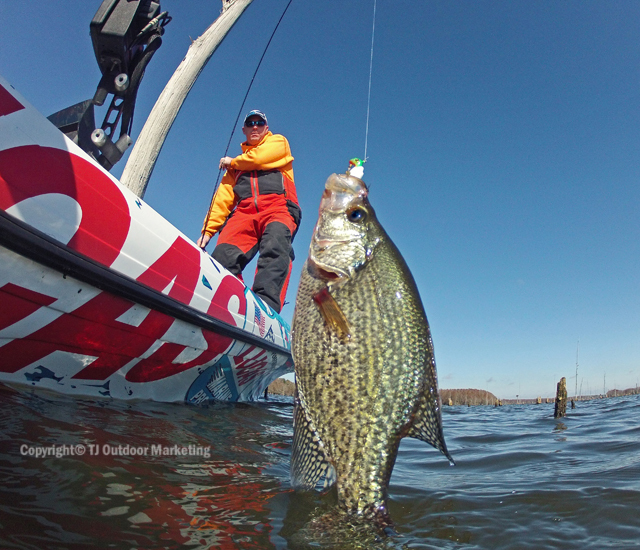 “One poling” for crappie is a blast. This entry was posted in Fishing and tagged Crappie, Lucas Oil, New year, One polin', Trout. Bookmark the permalink. 4 Responses to Look back and forward to be a better angler. I like this one. Well I challenged myself last year. I noticed the year before, you see, that I wasn’t going fishing near enough. Life sort of ticks on by, and you have no fish to report. That didn’t chew so well. So I decided to do something about it. Thus it was last year, as soon as the lakes thawed out, the challenge was that if there was an opportunity to go fishing, then I’d go fishing. I’d just do it. Even when I didn’t feel like it. Rain or shine. Result: went fishing a lot! Over a hundred times in fact. I know that’s nothing for the circles you hang in, but in my world, records were set! Putting lots of time in on the water produced more fish than I have ever caught in a single year, and not only that, such practice also found the fish to be significantly larger on average. The best fish I’d ever caught in my life, were last year. And a good deal of them were caught with your road runner gear. So what I learned is you can think a lot about going fishing, can read a lot about going fishing, can tell stories about going fishing, but until your fishing…you’re not fishing! I think I’m just rambling now. My apologies. Blessings TJ, and Happy new Year, man! Well stated there, O’ Patron. 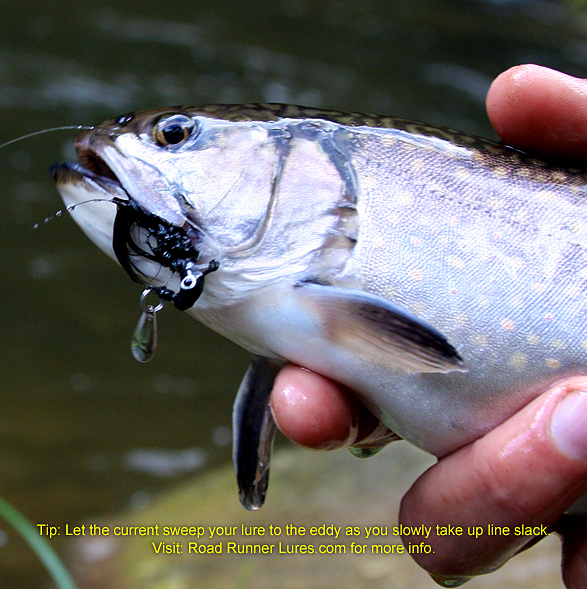 Your comment jogged a memory of something dad used to say, “You can’t catch fish sittin’ on the couch”. You proved him right. Happy New Year!